You just purchased a new home in the area, but have recently found out that your energy bills are through the roof. The cause could be your existing windows. Many are not rated for energy efficiency, and those that are may not rate high enough. At Best Windows, Inc., we understand energy efficiency ratings in windows; and having been in the Chicago area for more than 15 years, we understand everything the weather can throw at us! When you are looking for vinyl windows for home remodeling, room additions, or just to replace what you have now, we can help! Vinyl windows are long-lasting and require very little maintenance. When you’re looking for affordability and thermal performance, we would highly recommend the Kingston 300 series. For homes where double-hung windows won’t work, you may find the perfect exterior touch in our Alside bay windows. Not only are they stylish from the outside, but they provide a unique nook on the inside for displaying precious photos or objects. Add another dimension to your home with the easy-to-open casement windows. These large panels can provide maximum ventilation and natural light into your home when needed. 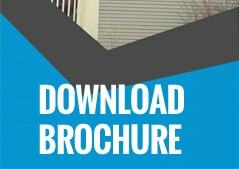 Don’t keep watching your energy bills skyrocket due to drafts around the window frames. 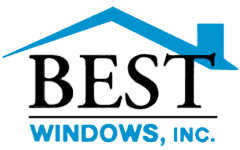 When purchasing vinyl windows from Best Windows, Inc., you are not just working with a company that has longevity in the area, you are also working with a company that puts a competitive focus on pricing. In fact, if you find an identical window at a lower price elsewhere, we’ll meet or beat that price! Don’t hesitate to contact us at your convenience with any questions or comments. We’ll be happy to talk to you.